The MDC-T said the vacation is over on the political arena as their campaigning teams move from suburb to suburb selling their party manifesto while having some sporadic addresses at some termini and drinking spots as it angles to take over the country's reigns after the July 30 harmonised elections. One of the party's aspiring National Assembly candidate for Magwegwe constituency Mr Witness Dube said victory is certain and as such he is already angling to put in place developmental projects aimed at improving the lives of the people in the area. "As you can see people are ready for us…. We want to create a situation where we are going to work closely with the community as we seek to find the issues that affect them. Some of the issues we know them but as the rule we need them to give us guidelines on what they consider to be essential," he said. Another MDC-T aspiring National Assembly candidate for Bulawayo Central Mr Kholwani Ngwenya said the people of the City of Kings are warming up to their party manifesto dubbed ‘Best' and as such they are ready to takeover the country's leadership after the polls. "We happen to have one of the most practical party manifesto ‘Best'. In ‘Best' we believe the people have salvation and already the amount of support we are getting is magnificent. 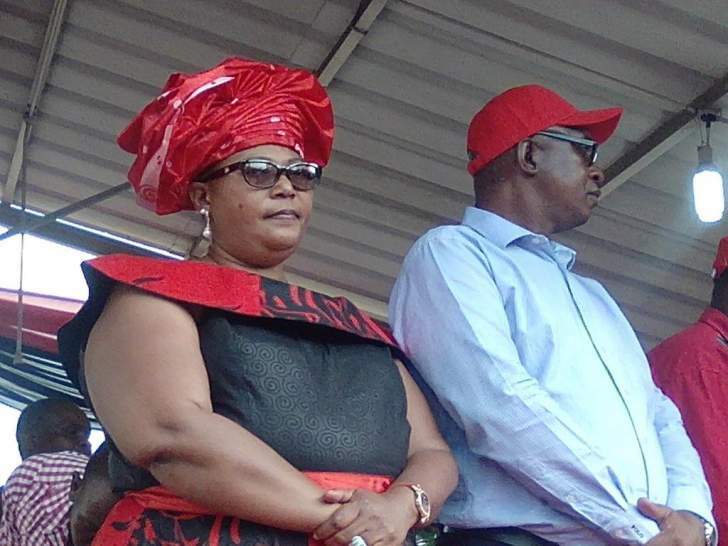 We are ready to take over under the capable leadership of Dr Khupe," he said.